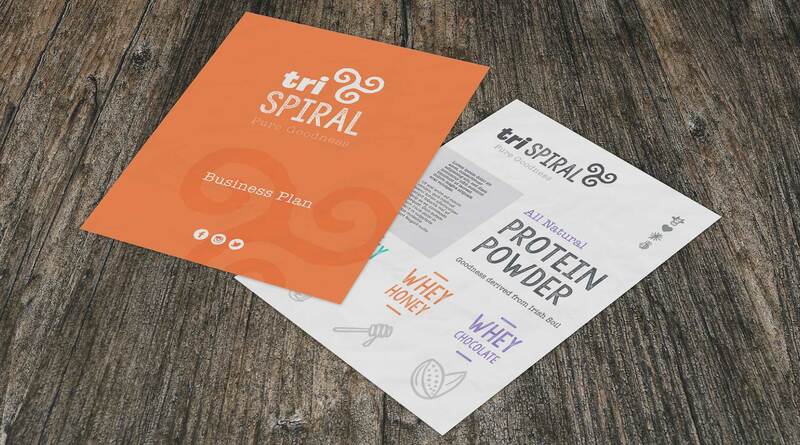 Brand Identity, Corporate Collateral and Packaging design for TriSpiral Proteins. 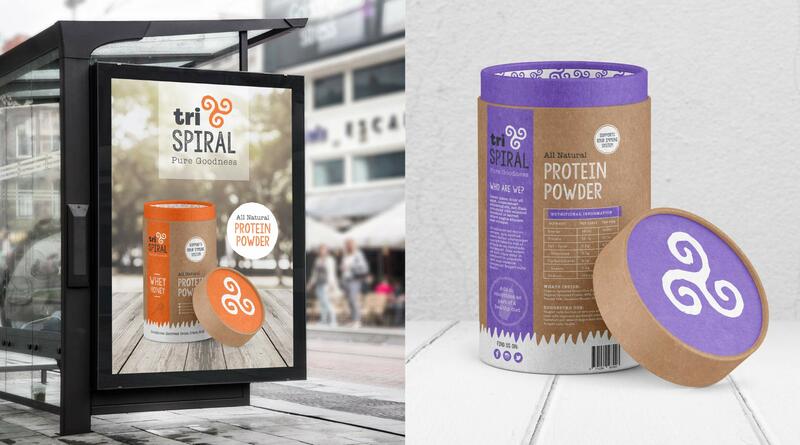 TriSpiral bring honesty to the pro and prebiotic protein powder industry with a pure and natural product. Our client wanted to convey trust, warmth, environmental and of course Irish in their branding. 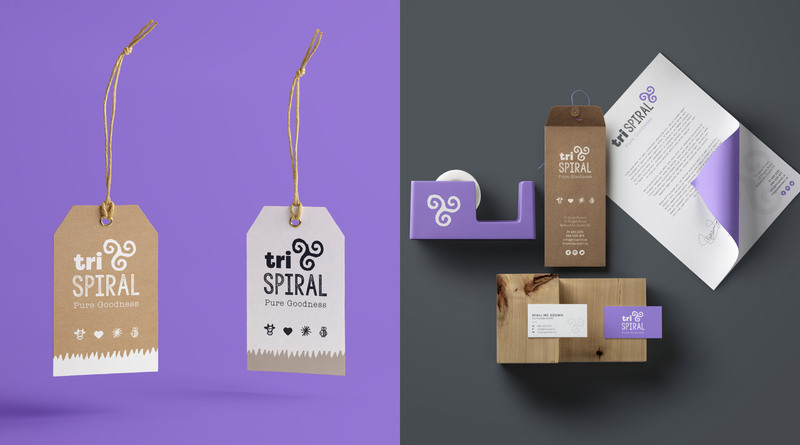 We created the identity to reflect these elements with natural paper packaging and modern typography and a palette of brand colours. The swirl movement of the logo represents change and growth. As well as this, the spiral remains an important icon within Irish symbology, it is the way of natural progress. The symbol of the spiral can push the viewer to be flexible and have trust towards change. Once the logo and fonts were chosen, we created a bright colour palette which complimented the natural surfaces of the packaging and developed fun illustrations for use across the branding. Overall we created a natural, modern and colourful brand that works towards it’s target audience. 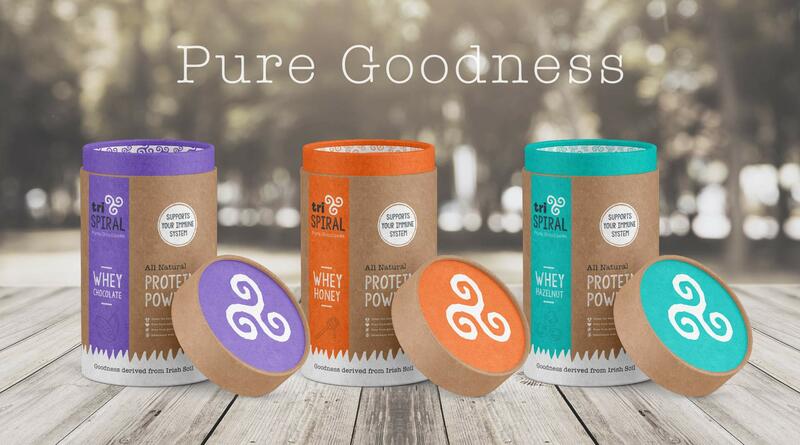 The new branding stands out from other clinical protein packs simply from choosing more natural materials for the packaging solution. In doing so, the customer knows that by using TriSpiral, they are using a more natural and pure product.